(101 reviews) Write a review! Displaying 10 out of 10 Questions. Can I get these 2 degrees flat? This iron set is available for order through our custom club section with specific lie angle requests, as well as length, shaft, etc. With used sets, we do not perform lie angle adjustments in house, but this can performed after purchase by a reputable, certified club repair shop. Please provide me w/ the loft angle for each iron. Please verify length. Looks like they are +1.00 at 38.5. Thanks. Thank you for reaching out to us and alerting to this issue. We will have these clubs re-measured to determine proper length. If 38.5, then it would be +1, or it may have been entry error for standard. Did this mint set of used Titleist AP1 716 irons turn out to be +1 lie or are they standard lie? The lie angle of the clubs will be described in the description. It will either say standard lie or will show the deviation such as +1 degree for 1 degree upright. Like to see pictures of glubs to see what they look like and what you call value conditions! Typically, with iron sets, manufacturers will only list the serial number on one iron and not every club. If the set was a custom order, sometimes the serial number will be listed on every club. Finally, there are cases where a set was not originally produced for retail which will not have a serial number at all as it was originally a demo set or something to that effect. As an authorized Titleist dealer, we do guarantee all product to be authentic Titleist equipment and would be happy to help you should you have concerns about a set received. The 716 irons were released in 2016. What is the difference between Titleist Ap1 andAp2? 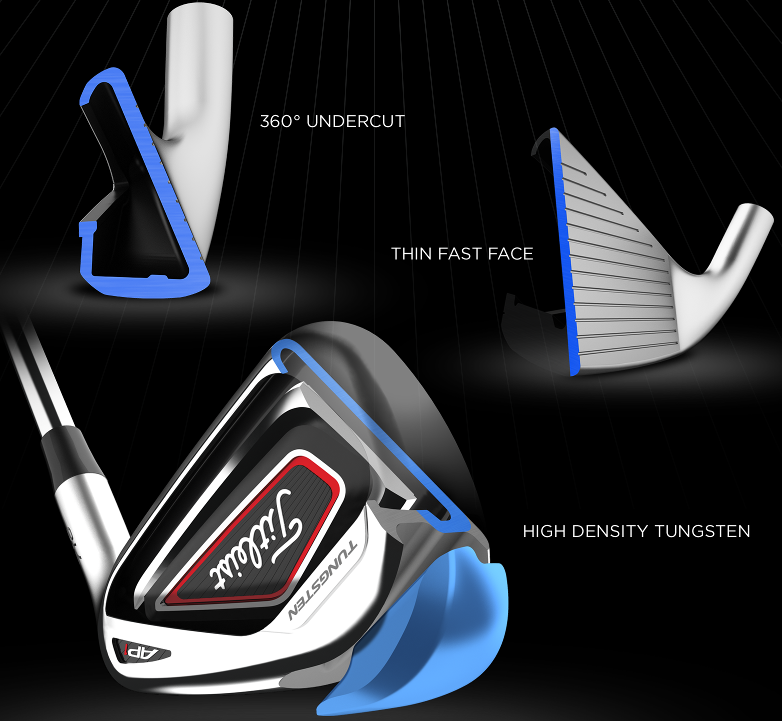 The AP1 is the more forgiving of the two and will provide a higher launch and more forgiveness. The AP2 is forged and focuses more on feel and control. What is the difference in loft between the AW and GW? The AW(W) is 47 degrees and the GW (W2) is 52 degrees. The Pitching wedge in this set is 43 degrees. Are the AW (W) and GW (W2) both marked with a "W" on the bottom of the club? Or are they marked differently? The AW has the "W". the GW has the "W" with the number "52" under it designating 52 degree loft. 1st off, the service from GlobalGolf on this order (like all my others) was 100% as advertised. Delivered in the time stated and the product was exactly in the condition advertised. As far as the clubs themselves, the first trip to the range revealed an instant 5-10 yard bump in distance from my old irons even with my typical high ball flight. For reference, I came from swinging TaylorMade Burner 2.0's. My swing speed is around 110-115 so I ordered them with stiff shafts. I'm about a 15-18 handicap so I definitely need something forgiving. These clubs are exactly that. Sweet spot hits just jump off the face with a very pleasing sound you don't typically get with a game improvement iron. My mishits even flew further and straighter than expected. I have played about 10 rounds with them now and every round the feel gets even a little better than the one before. 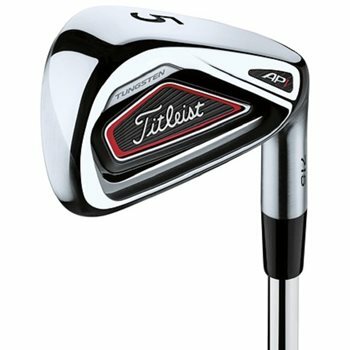 I highly recommend these for anyone looking at game improvement irons. Finally replaced some Ping irons that I had played with for years. Didn't have any problem with the Pings, just thought it might be time to upgrade, and a local golf coach recommended these AP1's. Couldn't believe the difference. Always had the impression that Titleist irons were geared towards better players, which I am not. They are very forgiving on slight mishits and seem to have a high ball flight, even with the stronger lofts. Not an oversized head, which I was used to, but I feel very confident when I swing them. Can't go wrong with these. Don't hesitate to pick them up, especially with the sale that Global Golf has right now. Can't go wrong. So I bought these irons based on reviews alone, all I can say it this is the most superior club I have ever played with. I can now hit a 7 iron 170 and a 6 iron over 180. This is such a well balanced iron. You cannot go wrong for the money it blows my Taylor made rocket bladez HL's away!!!!!! And Global golf rocks as always, great delivery and are giving a great deal on the old club trade ins. Love the new 716 AP1s. Traded in my old set of TM RBladez for these ones in 'very good condition' and they were almost new, one club was still wrapped in plastic. Sure they are marketed as being long and forgiving - keep in mind that no clubs will fix a bad swing. However, when hit decently well, they will go far and yes they are straight. The loft on the PW is kind of aggressive so I bought a gap wedge to make up for it. Really good looking clubs, will look at home in any bag. They make you look like a good golfer without spending the extra $$ on blades. Highly recommended. Outstanding all ability iron set. Much easier to play than the Ping G series IMO. What I'm saying is I feel that I can hit shots with the AP1 that I just could not with the G.
The Titleist 716 AP1 iron is the longest and most forgiving iron in the entire 716 family. It’s the perfect club if you’re seeking the maximum amount of distance and forgiveness. The distance comes from an undercut cavity that spans the entirety of the golf club. It creates a large, thin and unsupported club face which will increase ball speeds and increase launch angles, both crucial elements for superior distance. There’s also a tungsten weight located in the toe of the iron to lower the center of gravity, creating even more speed and distance. 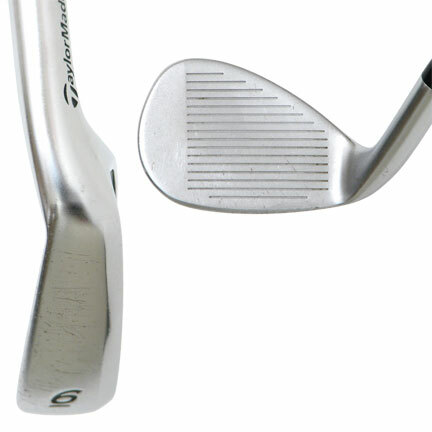 By moving a majority of the weight to the toe with the tungsten, it creates a very forgiving club head. The Titleist 716 AP1 irons are available in three through pitching wedge, W, and W2. The 716 AP1 irons have three different shaft options, the True Temper XP90 is the stock steel shaft while the MRC KuroKage 65 and 50 are the stock graphite shaft options. 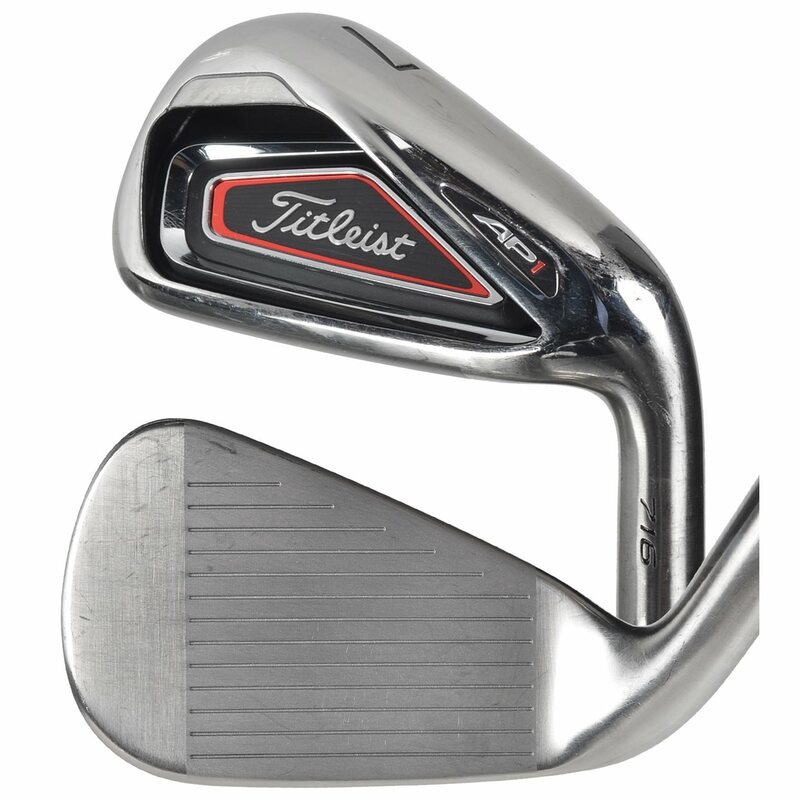 Learn more about the Titleist 716 AP1 iron here.